Experience laid back living at Vita Student Richmond House, set between the River Test and River Itchen, overlooking Southampton’s marina. By day, stroll through the old town, uncovering Tudor treasures or stop in one of the eclectic restaurants nearby, from historic gastropub the White Tavern to the quirky Mettricks Tea & Coffee House. When the sun goes down, head to legendary haunt The Joiners for a taste of Southampton’s up-and-coming music scene, or catch an open-air film in Hoglands Park. 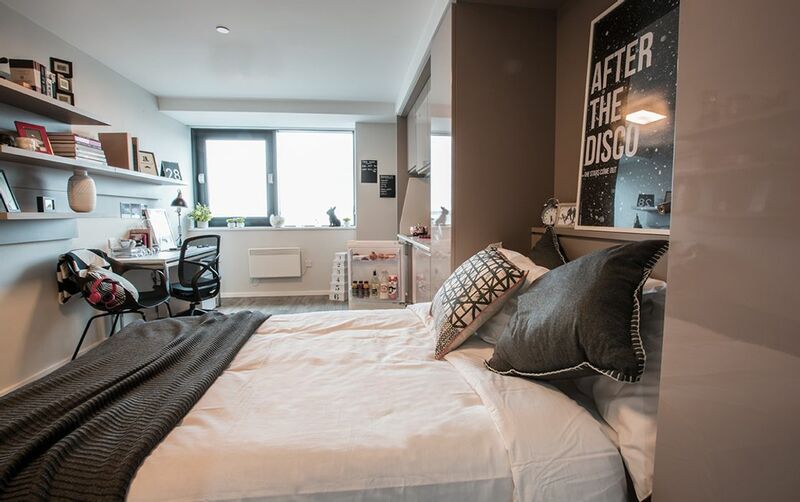 At Vita Student Richmond House, you’re just a short hop from the town centre and station. 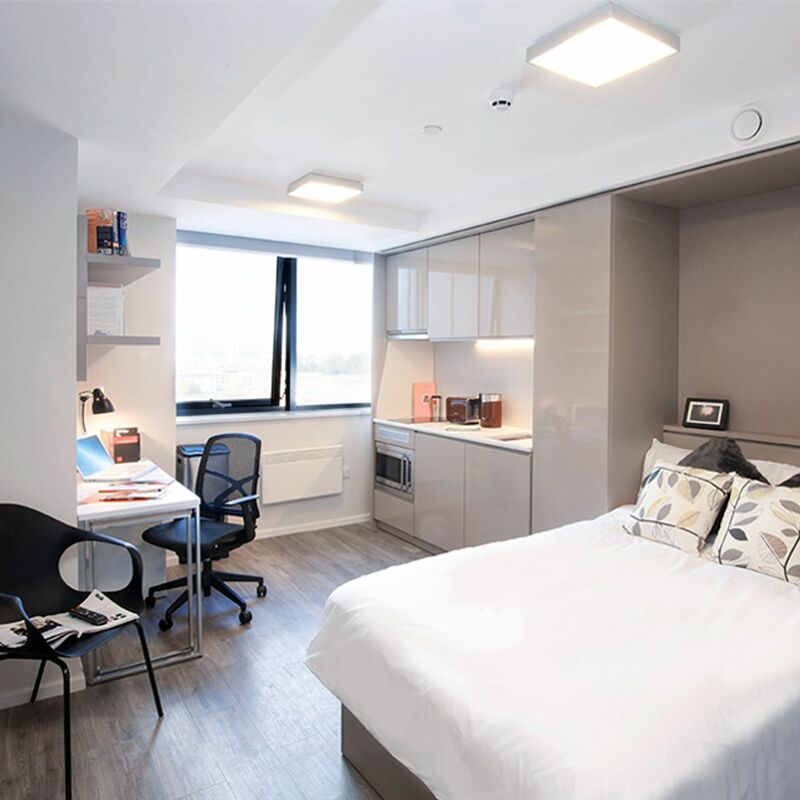 Southampton Solent University is a 12-minute walk away, whilst University of Southampton’s campuses are less than a 30-minute journey from the nearby bus station. On weekends, pick up a free grab and go breakfast, then rent a bike from the free cycle hire to explore your new city. 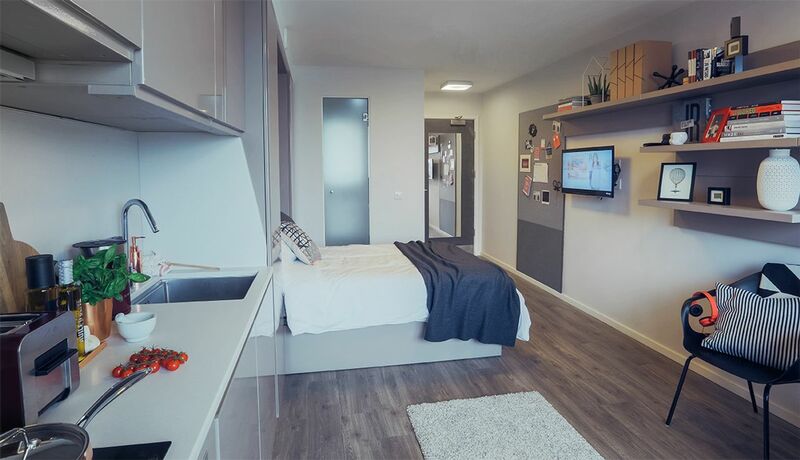 Your new home exudes urban style, with wooden floors and slick interior design throughout the studio apartments. In your room, you’ll find a plush double bed, the ideal place to lay your head or watch the smart flat screen TV. You’ll have a choice of views out over the city or water and an integrated kitchen, complete with dining table - perfect for a dinner party with friends. A built-in study area offers the perfect space to get down to work in peace, with free broadband and 250MB Wi-Fi included. You’ll even enjoy your own fitted ensuite bathroom, while a free monthly cleaning service keeps your new home sparkling clean. Downstairs, you’ll find hanging lamps, cosy mismatched sofas and flat screen TVs dotted around the common room. Secluded study benches offer the perfect spot to get creative. You’ll be able to put your mind at ease with all bills, contents insurance and even a TV license included, on-site security and a secure entry system, leaving you more time to enjoy the gym or play a game of pool with friends. We couldn't find a room that matches your preferencesView all Entire Place in Vita Student Richmond House.